Every time I make this slaw, which is about once a week, my husband exclaims “This slaw is awesome!!”. It’s very refreshing, non-mayo-based, and full of fresh and good-for-you stuff. 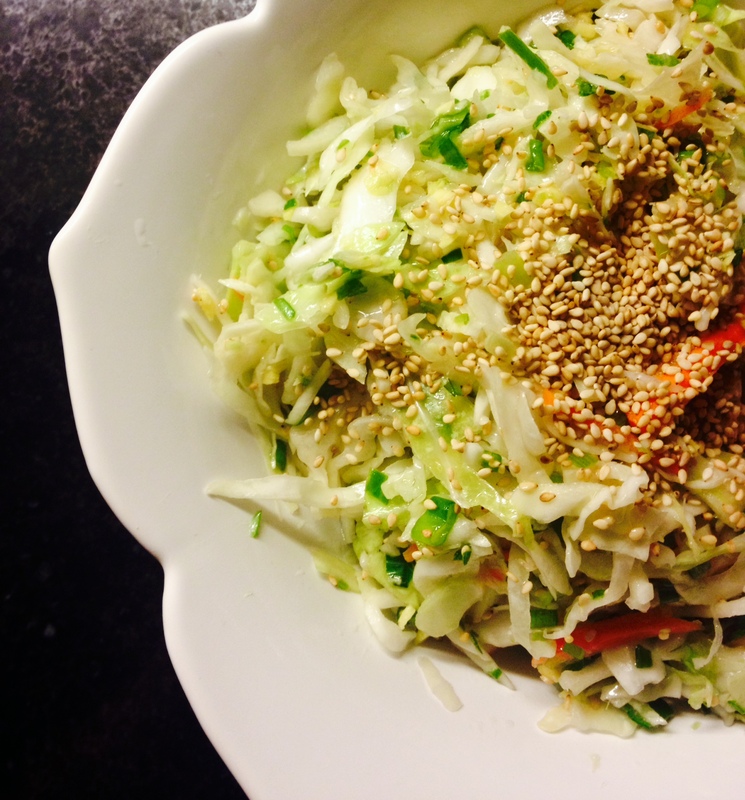 Toss cabbage or slaw mix, green onions, and ginger in salad bowl. In a small jar with lid (like a jelly jar), add rice vinegar, peanut oil, sesame oil, and sugar or agave nectar or mirin, and shake well to make dressing. 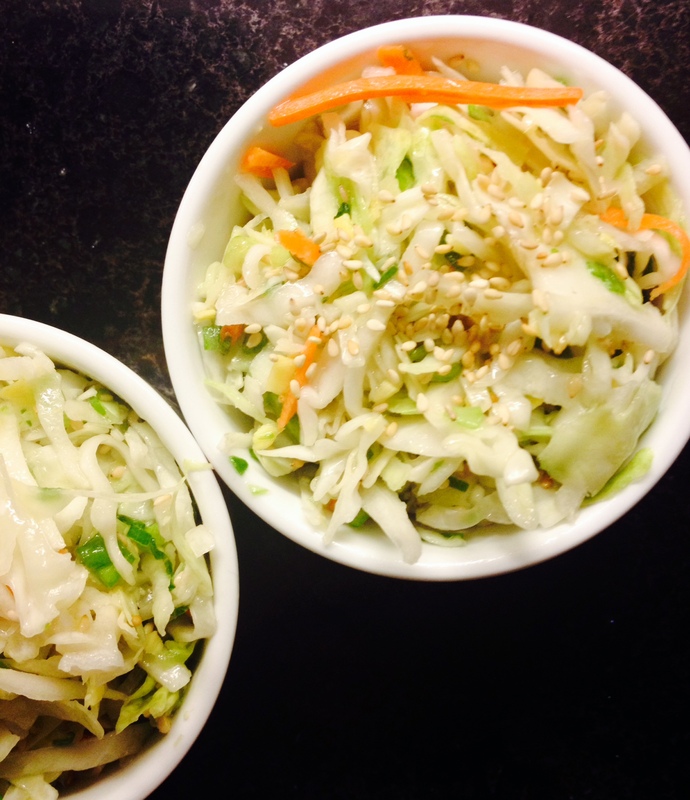 Pour dressing over slaw, toss well, and top with sesame seeds. Ready! This is a radish*rose original recipe. All images & content are copyright protected. All rights reserved. Please do not use my images without prior permission. If you want to republish a recipe, please credit radish*rose and link back to the recipe. thanks! i need to work on that.